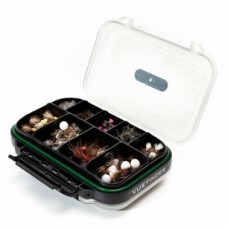 A selection of fishing fly boxes from our very own branded water tight boxes to top of the range Richard Fly Boxes come in a range of sizes from pocket ones to the larger display boxes. 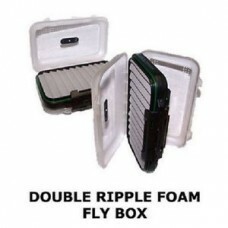 The foam inside the boxes has developed from flat foam to mainly easy slot in foam to keep your flies held in place neat and orderly. 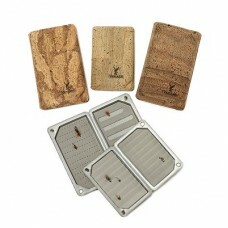 These are so handy for popping in your pocket with the days choice of fly's, really handy.. 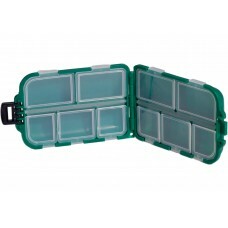 Handy little boxes for storing your flies, pocket size with 10 compartments(Colours can change).. 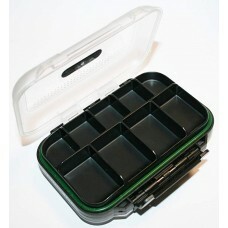 These Trout Fly Boxes are a hardy solid black plastic with flat foam inserts.4 sizes available..
A superbly innovative way of storing flies. 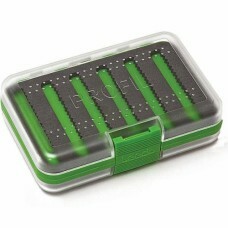 The concertina design allows the box to fold flat in the.. 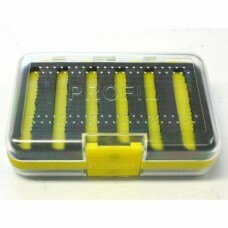 These Pocket Fly Boxes are great value for money. 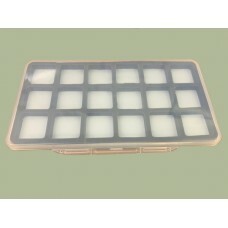 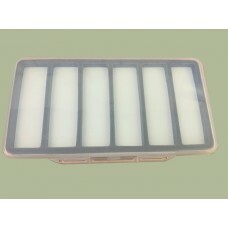 Mgnetic base with 6 compartments4.5 x 3.1 inch.. 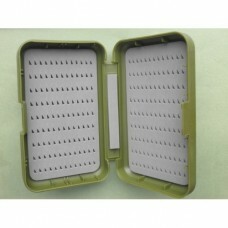 These Super Trout Fly Boxes are a handy safe lock box, watertight and measures 137mm x 88mm x 3.. 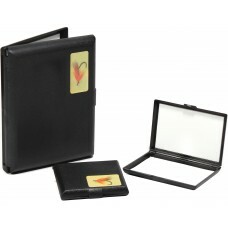 These super little fly boxes are perfect to slip in your vest pocket or bag. 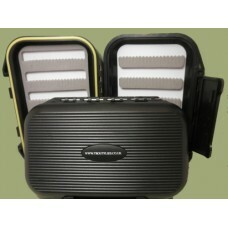 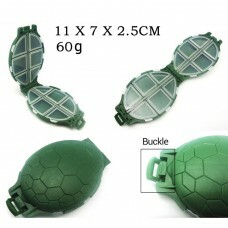 The base is magnetic to..
Waterproof Plastic Slotted Foam Fly Fishing Box With Lanyard Dimensions: 4 x 3 x 1.5 inchFly Sl.. 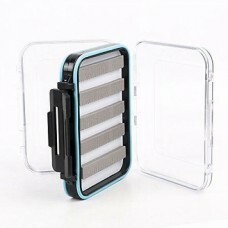 These double sided super water tight fly boxes have clear lids on both sides so you can see your tro..
Small or Large cork finished fly box with magnetic catch and a choice of Slit or ridged foam Re.. 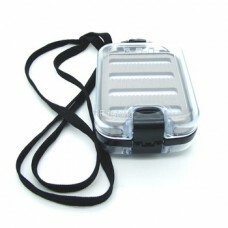 Designed to offer maximum visibility to anglers with quick accessWith clear lids on both sides you c.. 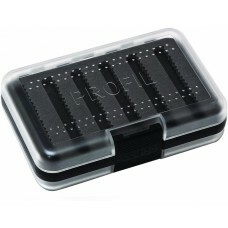 This box features a tough, ultra-tight grip, black silicone bed, these clear view fly boxes offer a .. 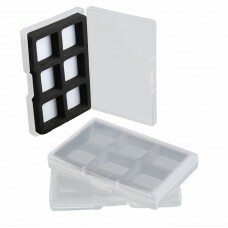 Flexible storage in a range of sizes for all requirements, fitted with micro-slit, high density etha.. 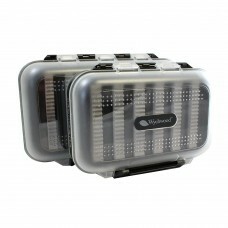 These boxes are stunning, top quality and hard wearing. 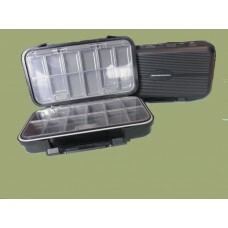 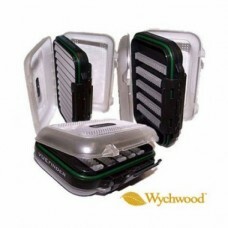 They have 24 compartments at different depth..
Richard Wheatley Comp-Lite fly boxes are constructed of tough, lightweight polypropylene with superi.. 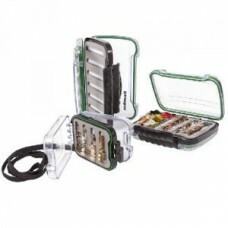 The VUEfinder is the original clear lid concept fly box, aiding the correct selection of flies when ..